Emily Moskow is eight years old and she knows exactly what she doesn’t like: broccoli, cauliflower, and spinach. Emily’s parents are not alone in waging dinner table battles only to walk away defeated. 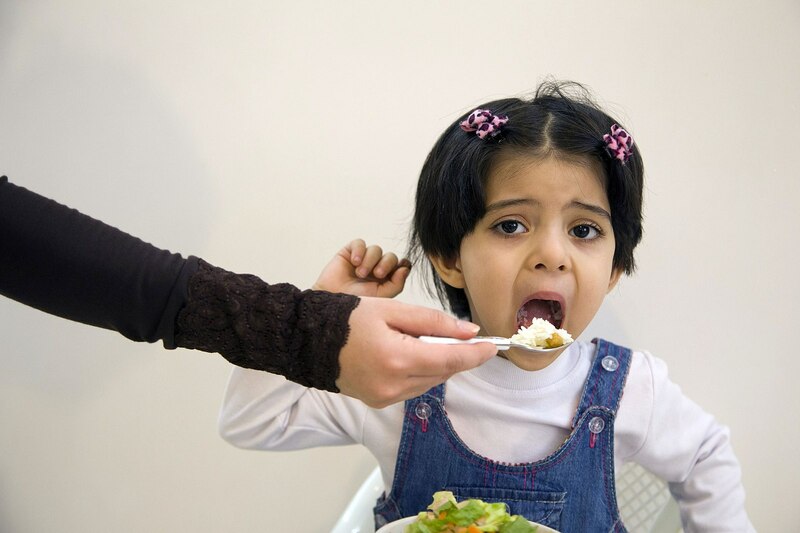 Picky eating is a common part of child development starting from around age two, according to the American Academy of Pediatrics. Incidentally, it’s also an important window of time for the development of children’s taste: The years when children are the pickiest are also the years when they form critical food habits that they could maintain throughout their entire life, according to a new meta-analysis. The toddler who eats only chicken nuggets often grows into the the adult who slyly skirts around vegetables. But do not despair, because the evidence says there is still something parents can do. Psychologists at the University of Leeds analyzed more than 30 studies on introducing vegetables into the diets of picky eaters for a recent review published in Appetite. Their conclusion? It is possible to convince even picky eaters that dreaded vegetables aren’t so bad — but some approaches work better than others. Repeat, Repeat, and then Repeat. Essentially, the more a child is exposed to a food, the more familiar and likeable the food becomes. The researchers found that preschool age children need to taste a food a minimum of eight to 10 times before they begin to accept it. In some cases it can take as many as 15 or 20 tries, but this is the most likely route to a long-term acceptance of a new food. Children come around to vegetables in much the same way, she says. Taste exposure works because starting around age two children tend to develop food neophobia — a fear of new foods. “It’s not that they don’t like it, they aren’t familiar,” says Keith Williams, director of Penn State Children’s Hospital Feeding Program who was not involved in the Leeds study. Even just licking or smelling the broccoli increases their exposure to the new food, says Dr. Muth. Let’s say your family is trying out broccoli. You could consider cooking broccoli different ways at dinner twice a week, she says. If each night you offer your picky eater only a mouthful, by the end of a month you will have reached those eight exposures. The study also found that tasting new foods did not have to be confined to meal times. Offering new foods as a snack is also effective and sometimes can even seem more playful than dinner or lunch. Though not required to improve picky eating, social rewards — like praise — and tangible rewards — like stickers — motivate kids to eat more vegetables, experts say. “Sometimes you just have to play their game,” says Evan Moskow, recalling the many instances where praising or including Emily among the adults convinced her to try a new food. Such rewards, like praise and stickers, were most beneficial in combination with another strategy like taste exposures. So, if your picky eater is particularly resistant to tasting a new food, a new sticker might be a good motivator. When children were exposed to new food and rewarded for trying it, they then continued to eat new foods at three- and six-month follow ups. No matter your strategy, both Dr. Muth and Williams say it’s critical to remember that un-sticking your picky eater is a process. As for Emily, she is still very much a picky eater, but she likes the occasional carrot and sometimes even tolerates lentil soup. Broccoli is out of the question, she says, at least for now.